Welcome to the Side Hustle Success interview series where we chat with real people about real side hustles! Today, we get to learn about out of state rental property investments and building a real estate empire. 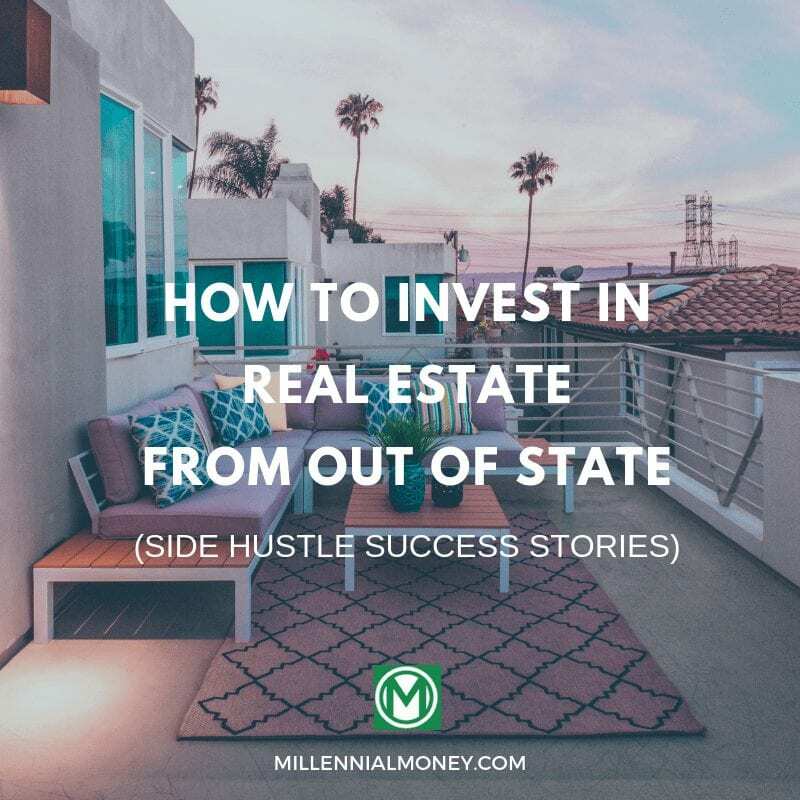 We are stoked to have Rick (they asked to remain anonymous) on the series to discuss: How To Make Money Investing in Out of State Rental Property. I first met Rick at a bar in Los Angeles. A bunch of us were chatting about the high costs of living cities and ways to make extra money. Rick mentioned he held properties in multiple states, and my ears perked up. Years ago, I dabbled in the out of state real estate game, but at a very small scale. I had one property in South Carolina but struggled to optimize its revenue potential. With property management fees, and out of state taxes, I was only making between $50-100/month net profit. Some months, I would see a loss due to maintenance costs. Clearly, my out of state rental property game was not optimized so I ended up selling the property. I wish I had met Rick sooner. Here’s Rick’s side hustle success story. I work in advertising. Standard W2 job. 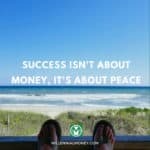 My goal is to one day make enough revenue from passive income that I can leave the world of 9-5. Tell us about your side hustle? Long-term buy-and-hold real estate! This means I invest in out of state rental property. I purchase properties, rent them out, and hold them for the long haul. Typically for five or more years, or until I own them outright. Buy-and-hold real estate is a common type of real estate strategy since it is easier than fixing and flipping properties (most of the time!). For the most part, no experience is necessary, and you can hire professionals to manage your properties. 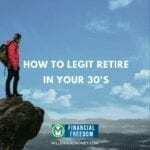 The goal is to build wealth over time from property appreciation and equity buildup. Where do you live, and where are your properties located? I currently live in California, and own property in California, Texas, Nevada, and Ohio. I’m open to all geographies, however, I look for the best return on my real estate investment. Since California real estate is quite high, I look for out of state rental property investments. Well, I started by buying a single family house locally and renting it out. I wanted to start making money with AirBnB. To be fair, I benefited from the housing market collapse in 2008. I had a full time job at the time, and property way extremely cheap. 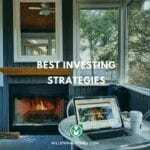 For other people looking to start investing in real estate, I recommend saving as much money as you can. Lastly, it is best to have a normal W2 job to help secure financing. How to do you manage your properties if they are located out of state!? This is one of the most challenging parts of real estate investing. Nobody will ever take as good care of your property as you will, but managing yourself from across the country is not a good idea. Especially when you do not have a strong team on the ground (and even then it can be very challenging). I currently work with a manager or management company in each market, and I self-manage in California. It is different in every market, as some states require that you are a licensed real estate agent in order to manage, and other states don’t. How long have you been doing it? I started managing a property in my early 20’s, as an on-site manager at the apartment building I lived in (18 units). Is it challenging to find a rental property remotely? This is for me the hardest question to answer, but I will do my best. It all starts with identifying my goals. For some properties, my main goal is cash on cash return. For some properties, the return is less important since I am looking for higher equity growth over time. Sometimes it is a combination. Once I have a goal, I identify the market that I think will suit that goal. This is what I consider the research stage. I look at demographics, unemployment, business development, etc. Once I have picked an overall market, I start looking into neighborhoods. I tend to try and identify 3-4 target neighborhoods that meet my goals and are within my budget. Typically, I like areas that are C+ or higher, and strongly recommend new investors to stay away from cheap houses in lower class areas. While there are people that can make money in that kind of investing, you will lose money if you try and invest from out of state in D/F areas. How do you go about actually purchasing the property? Once areas are identified, I start reaching out to real estate agents in the market. I typically email 4-5 agents with what I am trying to do and set up calls with whoever responds. On the phone, I ask a lot of questions about their experience with investors, etc. Once I identify a real estate agent I like, I will ask them to set me up on a portal or send me updates off of the MLS. Next, I start running numbers on houses. Once I have a long enough list of potential properties, I book a trip to the target market and meet with the real estate agent to have them show me houses. This is crucial to get your feet on the ground and a feel for the houses and the areas. Even if I don’t end up making any offers, it builds a relationship with the agent and also gives you a feel for what is available at what price range. Then I make an offer, or two. Once a property is under contract, I start researching management companies. I reach out to a ton of them and ask for sample contracts. I have a set list of things I am looking for, and while I never find someone that checks every box, I look for the management company that checks the most boxes. I bought my first income property about ten years ago. I now own or manage 15 single family homes. How much passive income are you making each month? It varies by front door, but I typically make between $200-$700 per door per month. Keep in mind that is net, but also fluctuates based on repairs and vacancy. So in total, I’m making about $5,000 per month across all of the properties. 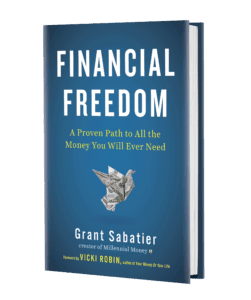 I’m close to financial freedom. What are your thoughts about Real Estate Crowdfunding platforms? 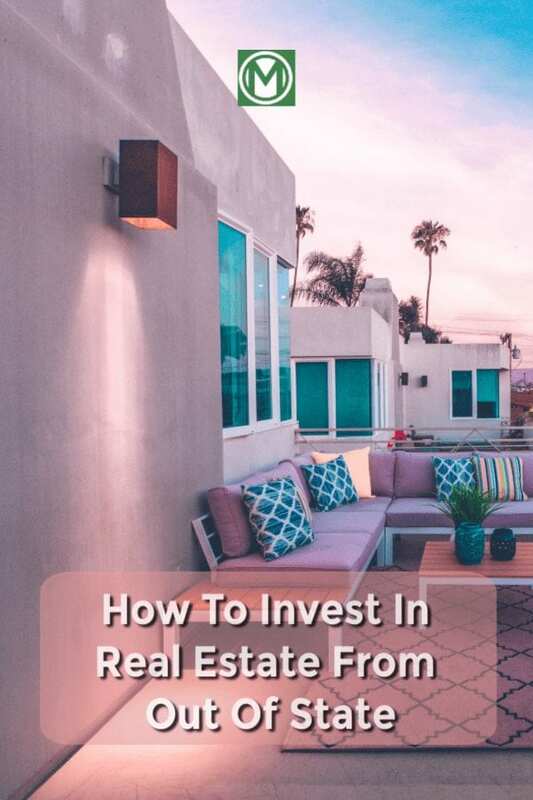 To be honest, I have not done a lot of research on real estate crowdfunding, but it’s certainly an up and coming opportunity for newer investors. Run your numbers, and overestimate expenses. Odds are that more will go wrong than you expect, make sure you can afford to pay for expenses in the beginning. I typically estimate at least 25% for expenses as a buffer. Do not buy in lower class neighborhoods from out of state. Realize you can’t stress or control everything. Be able to roll with the punches, and know that in the long run, it should be profitable (if you ran your numbers…even if it costs a lot of money up front). House hacking is a great way to enter the game initially. Lastly, this is a tough business, if it was easy, everyone would do it. But it’s worth it and if you have any interest in real estate investing and you live in an expensive city. You can get some amazing deals out of state. You can easily pick up single family homes in some states for less than $50,000, making it much easier to acquire real estate and build your portfolio. Thanks for the tips! Real estate is something I haven’t pulled the trigger on as far as investing. I do own a home and wonder if it will be better to keep it and make it a rental when the time comes to move or to just sell it. Guess I need to do some more investigating on the topic. I like being lazy and just throwing all of my savings in index funds but I realize there’s a chance of beating the market with real estate. I’m glad to see you pointed out that you benefited from the housing crash. Many millennials weren’t employed full-time at that time so they weren’t even making money to save. A good example of wise investments. Rental properties can be an amazing investment. As a student I’m not currently in a place where I can purchase an out of state rental property but I have helped my husband flip a house which was a cool experience! This was such a fascinating article to read. Ryan really knows his stuff and had some great tips! Thanks! If you are looking into doing real estate for yourself, this is some really great information. I have friends that do this for rental properties. This was a great post! I’ve been thinking of buying a vacation home out of state before I buy my first real home. I had an old boss who did that and by the time he retired, he had completely paid off the mortgage on his vacation home and he just lived there.